This plain shrug in white and black is having a single button at the neckline. The 3/4th sleeves shrug is developed using polyester. The colors are subtle and class apart. A statement shrug are a way to be one step ahead of the party fashion game! Keep in style this season and shine like a star! The added feature is the black detailing at the edges of the shrug. This classic trend is back and there is no better way to bring out the sassy attitude in you. Wear your classic LBD with some light earrings and spike embellished rockstar boots. 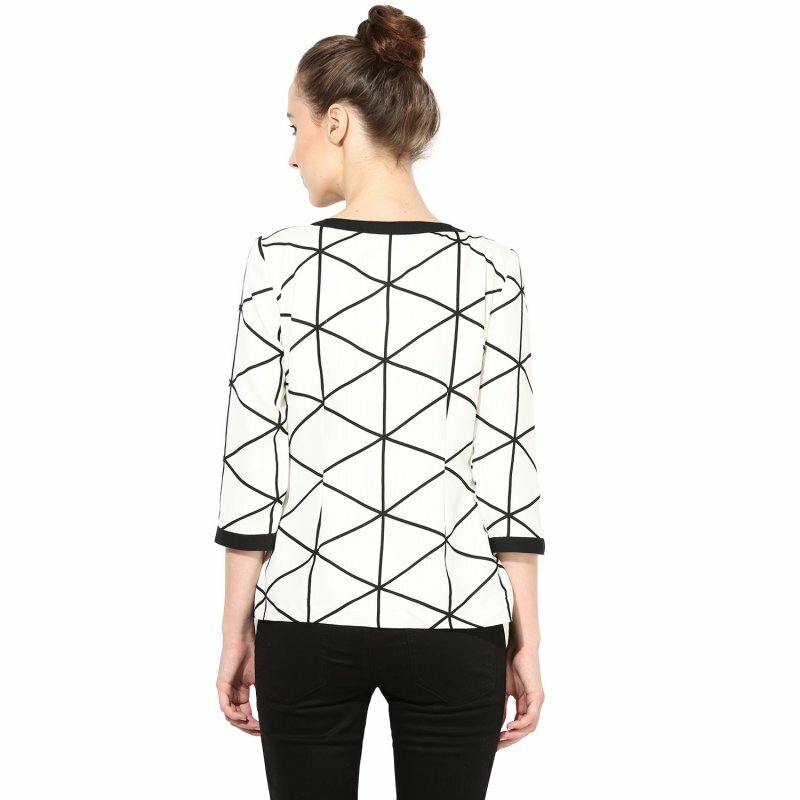 Unbelievable price on Black and white shrug in Gurgaon (India) company THE VANCA.